Daily Cheapskate: The Kohl's 2017 BLACK FRIDAY sale is now LIVE! 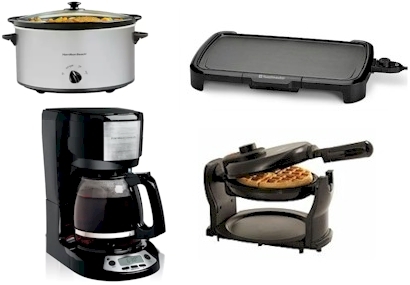 Small kitchen appliances only $4.99 after rebate, plus earn Kohl's cash. NET COST = FREE! The Kohl's 2017 BLACK FRIDAY sale is now LIVE! Small kitchen appliances only $4.99 after rebate, plus earn Kohl's cash. NET COST = FREE! 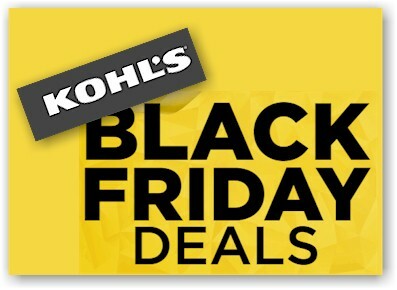 As they did last year and the two years prior, Kohl's is having a number of small electric kitchen appliances on heavy reduction, and then further reducing their cost with a 15% discount promo code and then further reducing their cost by offering a high value mail-in rebate (good on appliances purchased online between 11/19/17 through 11/24/17), and finally making their net-net cost FREE by offering Kohl's cash. This group of four small electrics listed below is marked down to $19.99. Then take 15% or $3.00 off with promo code SAVEBIG15 and pay $16.99. After you redeem the $12.00 mail in rebate, your net cost will be $4.99 per appliance! You may redeem up to five $12.00 rebates per household. Because you spent $50, you'll receive $15 Kohl's cash so your appliances are essentially free. Pay $50.97 (plus tax) and get free shipping since your order is over $50. Net cost after rebates is $14.97 for all three appliance or $4.99 each. Plus, receive $15.00 in Kohl’s Cash for spending $50. If you count the Kohl's cash, it's like you're getting the appliances for FREE! WOW! If the last three years are indicative of anything, these appliances will sell out before the day is done, so hurry up and snag your free appliances before someone else does!